The promise of economic stability at the cost of democracy continues. As Bangladesh, a South Asian nation of 165 million people, went through another round of parliamentary elections, high-stakes gamesmanship unfolded. Opposition activists were arrested in the thousands, and a pervasive climate of repression filled the thick, sweaty air. Whereas the ruling party kept with the mantra “Vote for us, and economic progress will continue,” the opposition hobbled together an alliance led by the widely respected Kamal Hossain, the Oxford-trained lawyer who drafted the nation’s constitution. Even though the ruling Awami League has secured a landslide victory, surpassing its previous wins with a record 288 out of 300 parliamentary seats, allegations of vote-rigging are rife. The BBC reported that ballot boxes at a polling center were already filled right after polls opened; the presiding officer refused to comment on the discrepancy. There are anecdotal reports of opposition supporters — whole families — being barred from entering polling centers to cast their votes. However, judging by social media reports, the elections went smoothly in the capital, Dhaka, marking an eerie similarity to what the Pakistani Army did back during the Liberation War of 1971. Dhaka remained calm, even as the rest of the nation was engulfed in flames for wanting democracy. 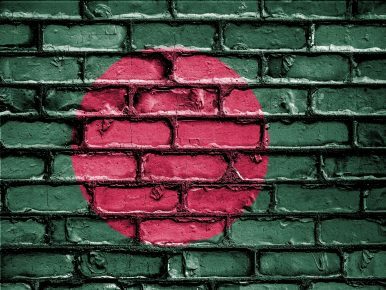 This is Prime Minister Sheikh Hasina’s third straight term in a decade-long rule that has been marked by both economic development and abysmal suppression of dissent. To give credit where it’s due, during the Awami League’s reign, gross domestic product expanded to 7.3 percent. The nation’s per capita economic output is higher than that of Pakistan, the nation from which Bangladesh gained independence. Agricultural growth, the ready-made garments industry, and remittances from overseas have been the triangle of economic development. However, this is only half the story. To point out only one glaring example of authoritarianism, the chief justice of the nation’s supreme court was forced to resign and sent to exile. Justice Sinha was forced out because he dismissed parliament’s law that enabled it to fire judges. In his memoir, he writes that the military intelligence first pressed him to rule in favor of the government, and when he failed to do so, threatened him into resigning. Economic gains mean a lot in a nation still struggling with endemic poverty, but human rights remained on a far-off horizon. Students have been beaten, allegedly by ruling party thugs, only for demanding road safety and equitable job quotas. The media and judiciary are often silenced if they dare not toe the line. However, these issues are displayed as mere middle-class problems. There are mouths to feed, so keep quiet and move along with economic prosperity; don’t rock the boat. Is it the curse of poverty to ask for good, decent governance that delivers a sense of dignity for all citizens? Tamim Choudhury is a Texas-based communications analyst.